With the surrender emote, it's currently binded to both laying down and surrendering. Stand up, and try moving. I think restraining is bugged atm too, I think when you try to restrain someone, you restrain yourself but not sure. With emotes like Laying down, you also shouldn't be able to tilt your body around by moving mouse, looks unrealistic, since it looks like a spinning laying down person. *edit*Was also playing 720P, then switched resolution to 1080P, and all of my status indicators became misaligned, smaller and moved to the near center of screen. Hello jamielou.007 and thank you for the report. If you remove the contents of your C:\Users\*username*\Documents\DayZ folder, do you still experience the inconsistent behaviour of the F5 key? I can add to this. I experienced movement bugs after using the F5 key on stress test #52 (SWE2-1 and SWE2-2, 0.63.149189). 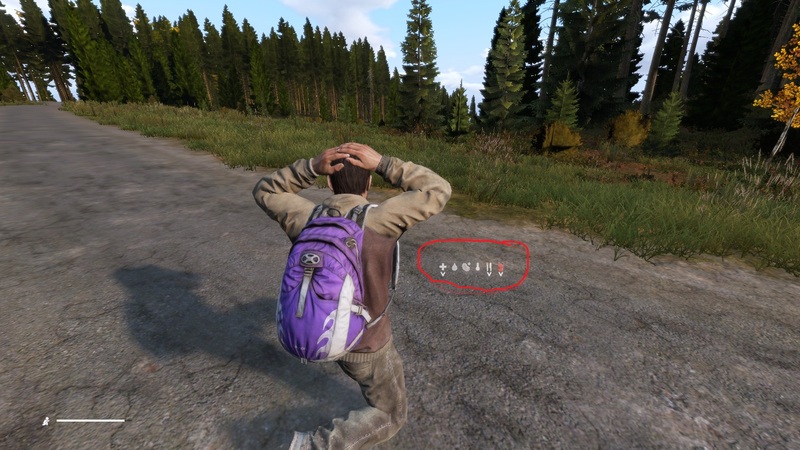 I deleted the contents in my DayZ folder and the problem persisted. Pressing F5 and then pressing it again before the lying down animation finishes causes the player character's movement to become bugged. The player character rubberbands and moves really slow when jogging, whereas the character moves at jogging speed when crawling. Pressing F5 again and letting the animation finish resets the movement to normal. Thank you for the update jamielou.007. We have confirmed the surrender in crouch issue and it has been scheduled for a fix. Also we are looking into the issue with config file not updating properly and using the wrong gesture. The issue with the surrender gesture has been fixed internally and will be fixed on Steam in the future.